So, after downloading a special program called "NITRO-SoundMaker", which is an in-house tool to develop music for the NDS, I discovered how to loop, and it was stupidly simple. Following on a hunch, I decided to ask someone to send me a MIDI, I added the needed data to it, send it back, and have him insert it. But, there was one condition: do not touch the .s file. And my hunch was correct: the file did loop. So, this tutorial is killing two birds with one stone, as the same official tools for converting MIDI files for use on the GBA use the exact same command to loop as the official NDS tools. And it's been overlooked for many years, so it's beyond me how this was totally missed. Anyways, let's get started. Oh, and don't ask me where to find the Nintendo programs. I will not link to them. And that's all! Now, export your MIDI file (MIDI-Format 0 File), and compile it using your choice of tools (mid2agb for GBA, or smfconv + seqconv for NDS), and insert. 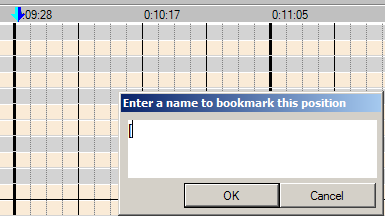 Don't even touch your .s file, as there is no need to, well, unless you need to adjust something. Have fun looping music! Last edited by Team Fail; 3rd January 2013 at 12:41 AM. The fact that it is so simple is probably part of why its been missed for this long! As ROM hackers, we default to expecting things to be complicated, and quite often overlook the more simple possibilities. I have 1 question, does this loop the file inside Anvil Studio or not? Fantastic find, either way! I shall be trying this out later today! Nice find, sir, Nice find! Thanks, this thread just made my day. Last edited by Sky0fBlades; 5th December 2012 at 08:54 PM. 1) Opened MIDI in Anvil Studio (latest version). 2) Opened Piano Roll Editor function, went to end of song. 5) Saved MIDI, drag/dropped it on mid2abg.exe to get .s file. 6) Opened Sappy, loaded ROM, assembled over a song with .s file. Last edited by Sky0fBlades; 7th December 2012 at 05:36 AM. I'm using Anvil Studio 2012, but it may be worded differently in older versions. As for compatibility, that's impossible because the command for a cue in MIDI files cannot suddenly change, or else it would break compatibility with other programs. All I can guess to do is make sure that your're using the right MIDI file. If I can find time, I'll record a YouTube video for this. Meanwhile I'll keep trying with other MIDIs and I'll see if I can figure this out, hopefully it will work.